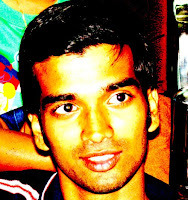 Selenium web driver ( Java ) has revolutionized how GUI testing is done. It's free, easy to customize and takes little time to learn. It is a best alternative to both QTP and TestComplete, where you need to know hardly used languages like VB (except you are into excel automation). In this post we learn automating some scenarios in Selenium. 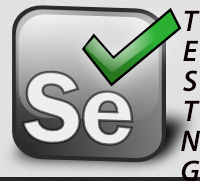 Lets see simple tasks that can be done by Selenium. We will take the example of our previous tutorial as explained here in detail. If you want to know if a text is present in the page source, you can use the below code as explained here at StackOverflow. isElementPresent() - This method basically tests if the element we are looking for is present somewhere on the page. isVisible() - looks for display: none style tag - this might throw a null pointer if we aren't careful...thus to see if an element is visible first check if the element is present using isElementPresent() method. Then try checking if the element is visible! Observe that isElementPresent() won't mind even if our element is not visible. This waits up to 10 seconds before throwing a TimeoutException or if it finds the element will return it in 0 - 10 seconds. WebDriverWait by default calls the ExpectedCondition every 500 milliseconds until it returns successfully. A successful return is for ExpectedCondition type is Boolean return true or not null return value for all other ExpectedCondition types. This example is also functionally equivalent to the first Implicit Waits example. There are some common conditions that are frequently come across when automating web browsers. Listed below are Implementations of each. Java happens to have convienence methods so you don’t have to code an ExpectedCondition class yourself or create your own utility package for them. Element is Clickable - it is Displayed and Enabled. The ExpectedConditions package contains a set of predefined conditions to use with WebDriverWait.